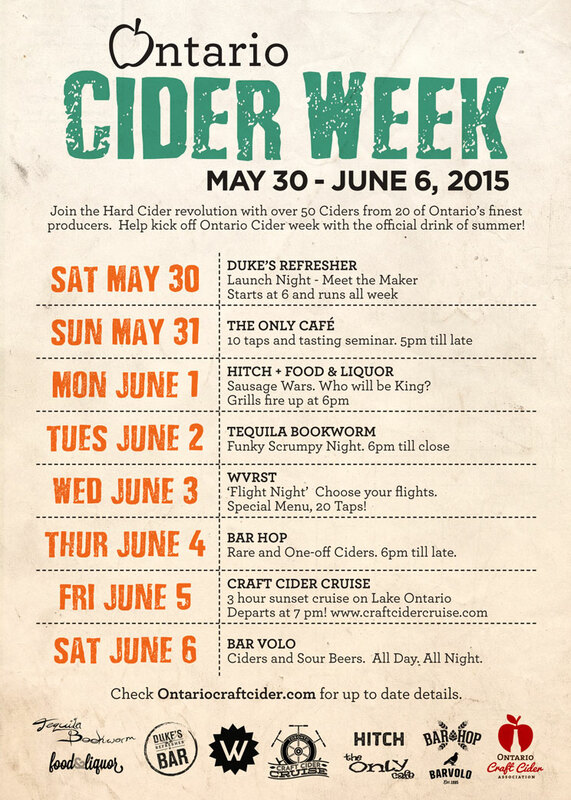 Ontario Craft Cider Week is here! 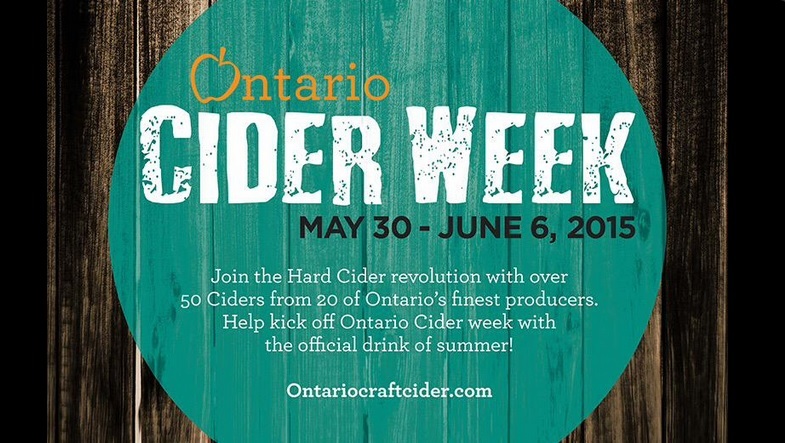 I’m starting to get into cider, so I’m super happy to share the news of Ontario Craft Cider Week, from May 30- June 6th. Ontario Cider Week 2015 will feature over 50 different ciders from 20 of Ontario’s finest cider producers at nine Toronto locations, including a nighttime cider cruise on Lake Ontario. The cider producers include: Spirit Tree Estate Cidery, Pommies Cider Co., Sunnybrook Farm Estate Winery, Thornbury Premium Apple Cider, The Puddicombe Cider Company, Coffin Ridge Boutique Winery, Revel Cider Co., West Avenue Cider, The County Cider Company, Twin Pines Orchards & Cider House, Brickworks Ciderhouse, Shiny Apple Cider and KW Craft Cider. Check out the events below!